Some candy and snack manufacturers are promising to bring consumers clean, simple and better-tasting alternatives to national brands that they say offer products made with added sugars, unnecessary dyes, and unhealthy methods of processing. World Pea Peatos is just one example of a brand seeking to revolutionize the way people view salty “junk food” snacks, according to the company. Peatos Crunchy Pulse Snacks use innovative production techniques and pulses — made from nutrient-packed, dry, edible seeds of beans, lentils, chickpeas and peas — to bring full flavor and nutrition to its snacks. 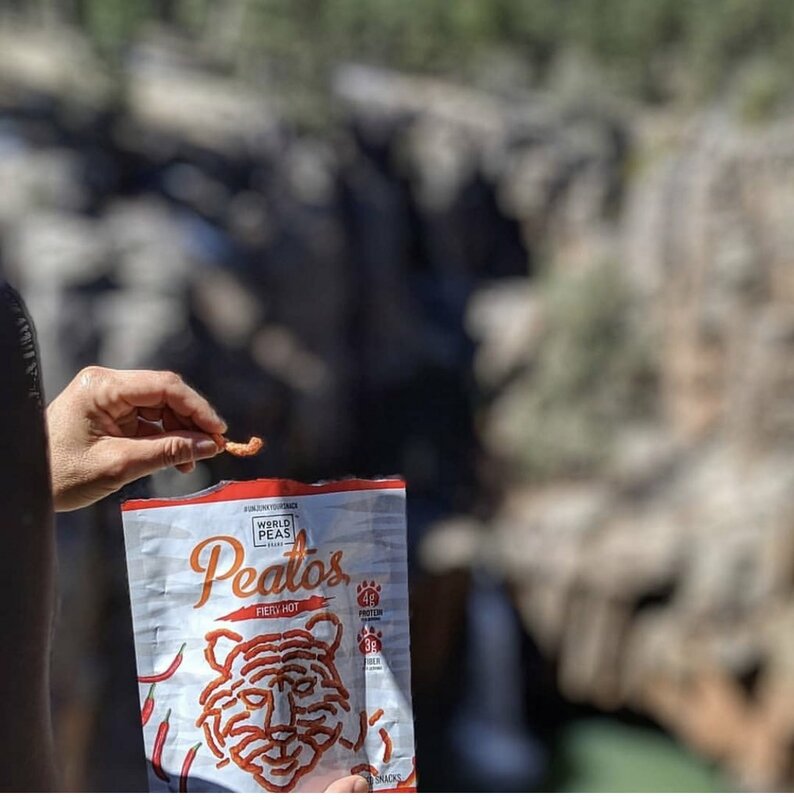 Touted as the “healthier version of Cheetos,” Peatos Classic Cheese flavored snacks contain 4 grams of protein and 3 grams of fiber, are made without synthetic colors and artificial flavors, and are non-GMO. Four varieties are available: Classic Cheese, Fiery Hot, Chili Cheese and Masala. In meat snacks, there’s a new contender in Stryve Foods LLC’s Biltong brand, whose offerings include slow-baked bites, sticks and Biltong (sliced beef strips). Targeting consumers who incorporate fitness into their lifestyles, Biltong is gluten-free, all-natural and made without additives, MSG or nitrates. One bag of Biltong contains as much as 36 grams of protein, Paige Brown, director of marketing for Stryve, told CSNews.